ProVIS is key to our Clinical Respect values, under which we promise to deliver excellence in patient care while helping achieve best value in prescribing. 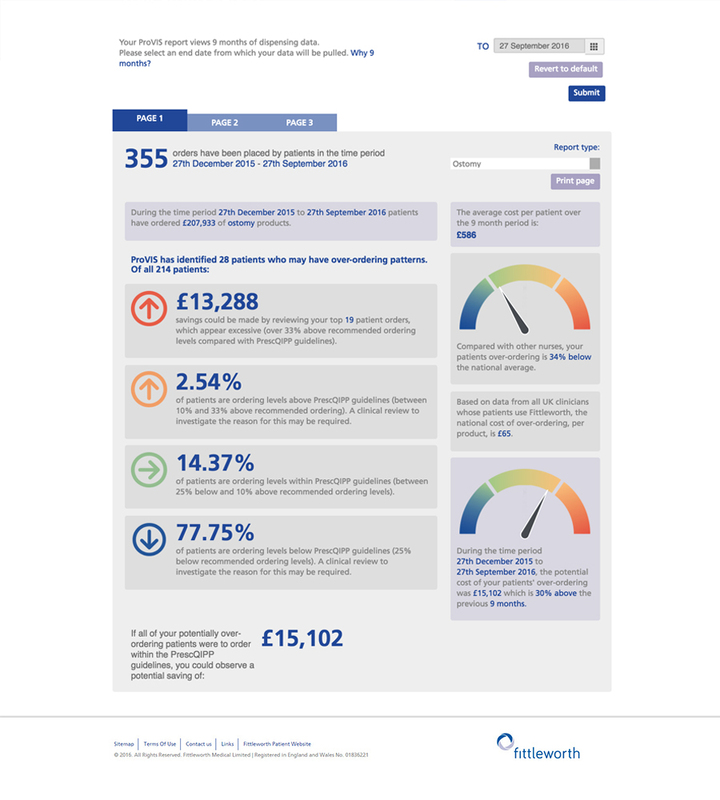 A study of 10 hospitals who have significant use of ProVIS shows an average saving of £54 per patient per year. ProVIS has been used in 10 hospitals since 2014, using both online and paper versions of ProVIS. Fittleworth asked respected data analysis company, GPRX Data to look at the impact of ProVIS; how it is helping these clinicians manage their patients, and how it is helping them control costs for their referring GPs and CCGs. GPRX found that comparing 12 months pre and post ProVIS implementation, average patient costs were reduced by £54 per patient per year. In one hospital patient costs were shown to have decreased on average by over £120 per patient per year. 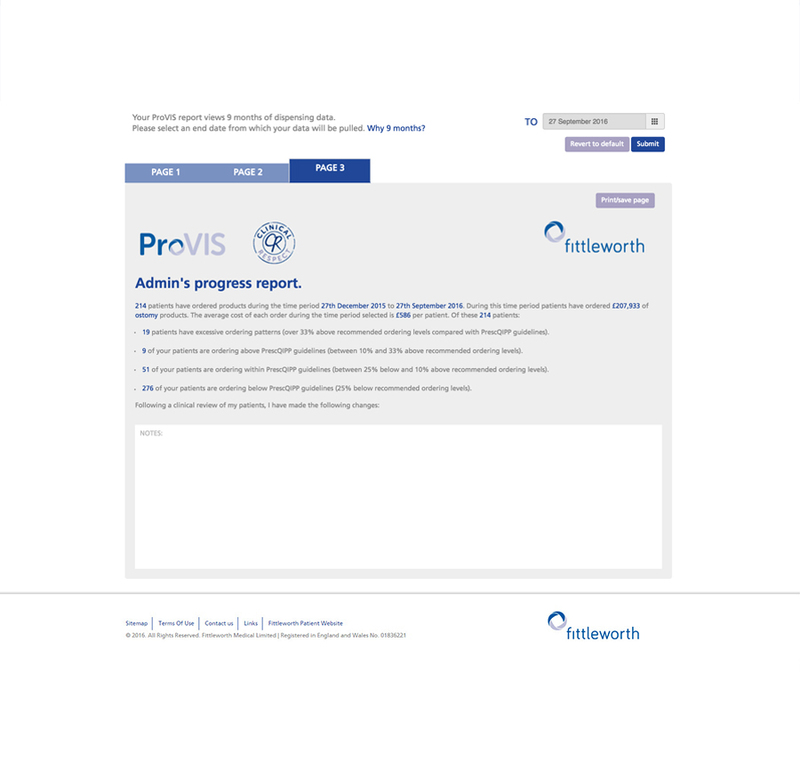 ProVIS is a free online patient dispensing data management tool that enables health providers to track their Fittleworth patients’ prescribing spend for products and appliances across the market. It gathers dispensing data for patients who have selected Fittleworth as their Dispensing Appliance Contractor. Does this make the penny drop that ProVIS, and Fittleworth’s Clinical Respect values really can make a difference to the NHS and the cost of stoma appliance provision? 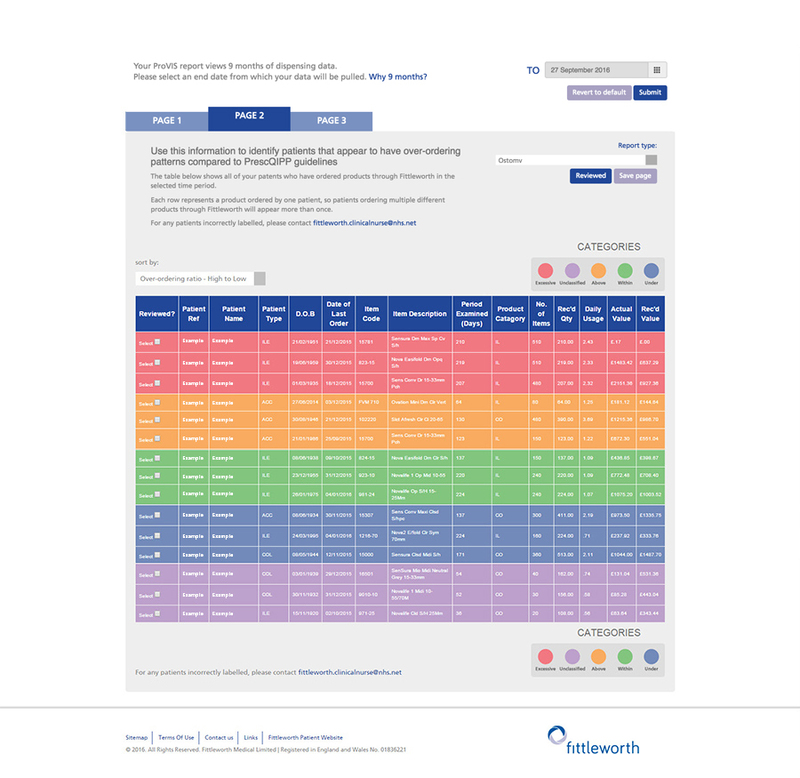 With the NHS and CCGs looking closely at the costs of their prescribing, if your patients choose Fittleworth for their dispensing, you can easily identify patients who may be over-ordering and intervene accordingly.